Description: Card measures 7¼" x 3¾" Printing: Digital Lithography. Festive holly branches frame a simple message of good cheer from your company to your clients and associates. Printed digitally on cream paper, this card is ideal to display your company logo. Slip the card into the pointed-flap cream envelope, shown here upgraded with a Lustre liner. 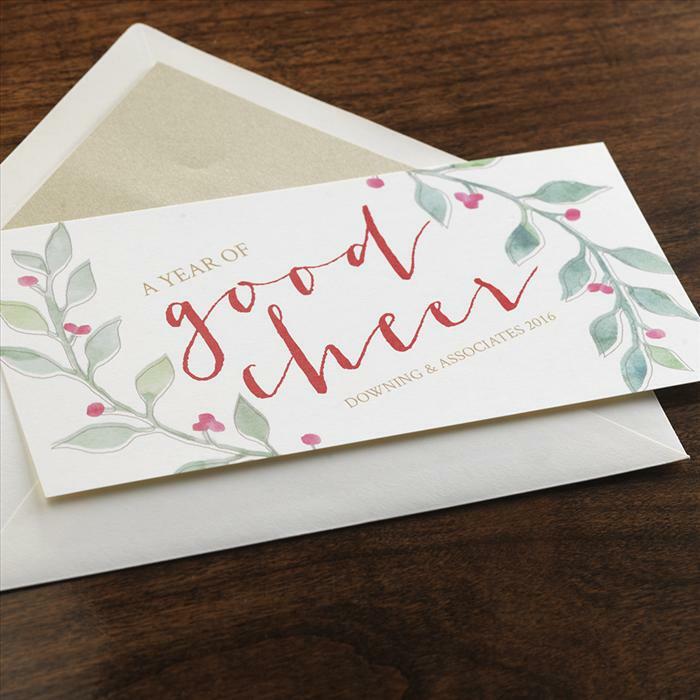 Checkerboard holiday cards (and other invitations) stand out from other cards because of their lovely papers, interesting and updated design and optional envelope linings. Please specify personalization. Return address on envelope, envelope lining and matching guest addressing also available.